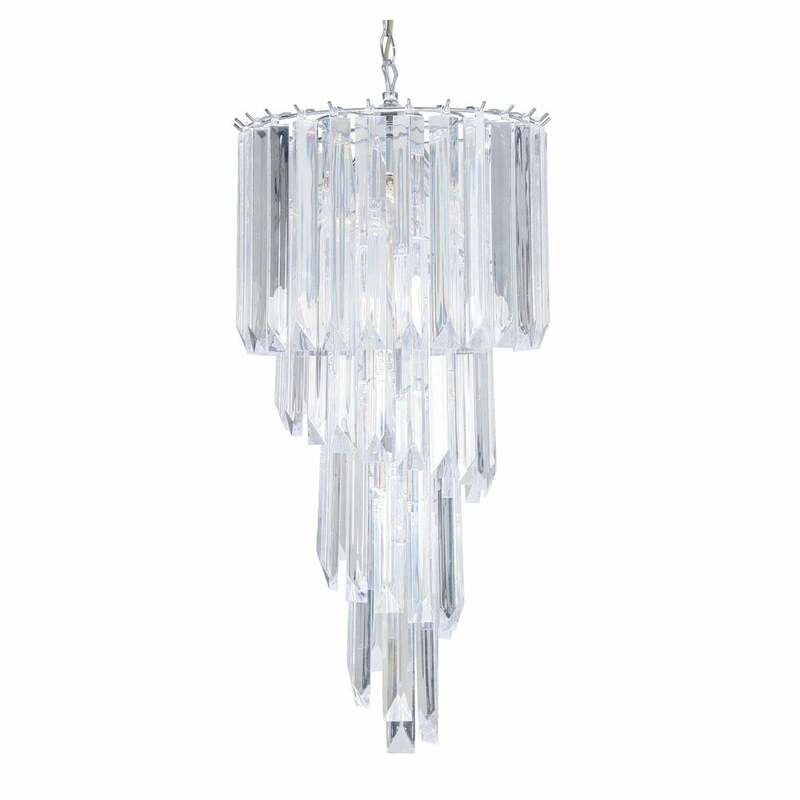 Oaks Lighting 4 light ceiling pendant features a circular ceiling plate with decorative chain in polished chrome finish, holding a 4 tiered shade made up of clear acrylic coffin drops. The product code is 868/3+1. This stunning design will create an amazing display of light when lit and add a wow factor to any room within your home, its especially suitable for rooms with high ceilings or tall stairwells.